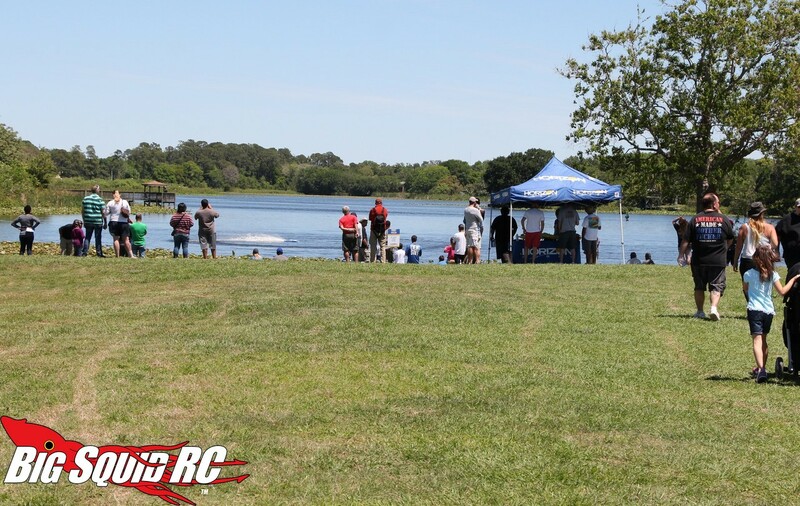 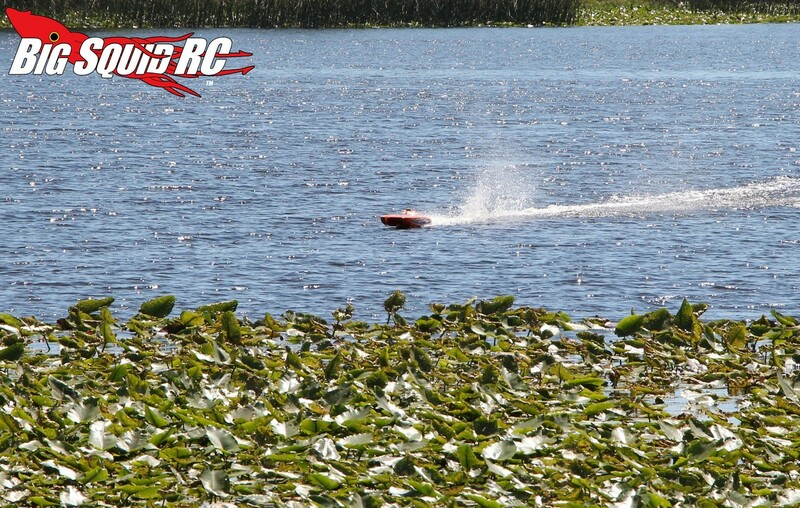 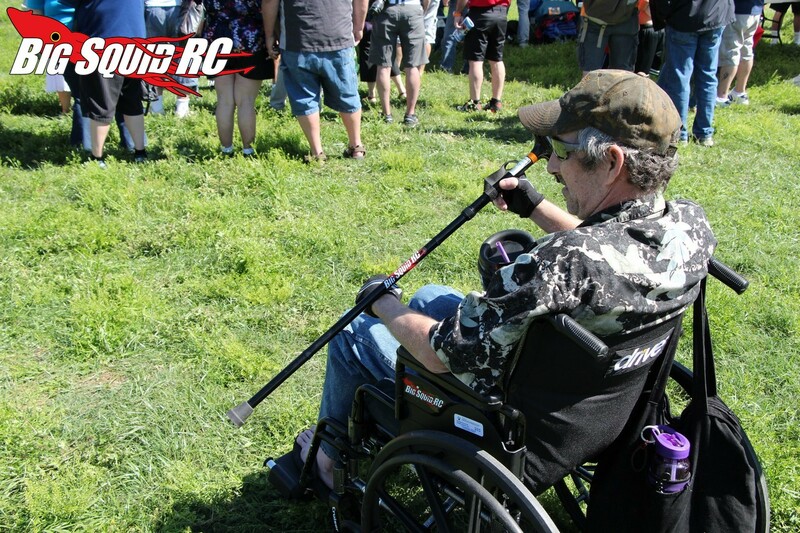 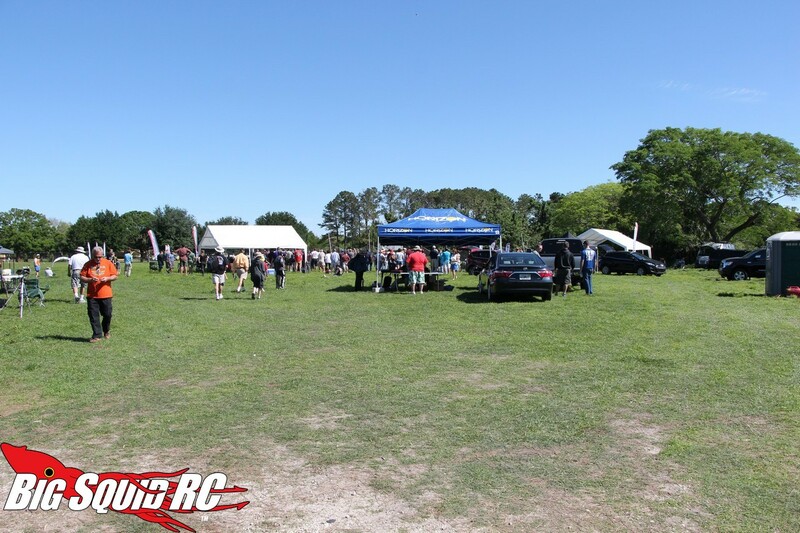 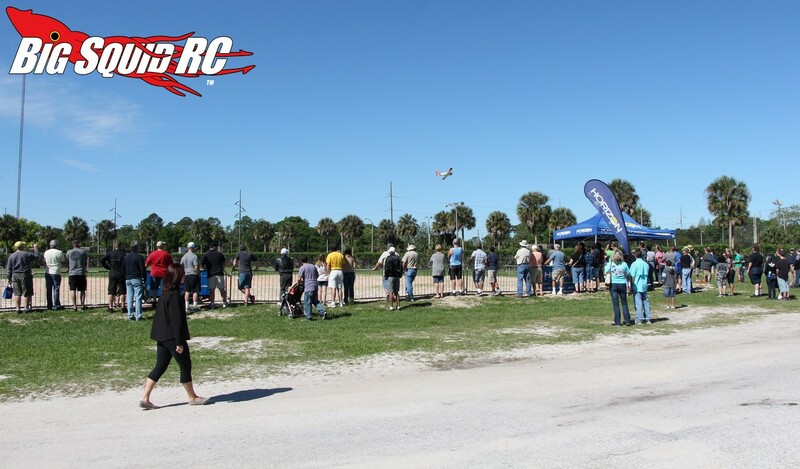 Event Coverage – Drones On The Horizon « Big Squid RC – RC Car and Truck News, Reviews, Videos, and More! 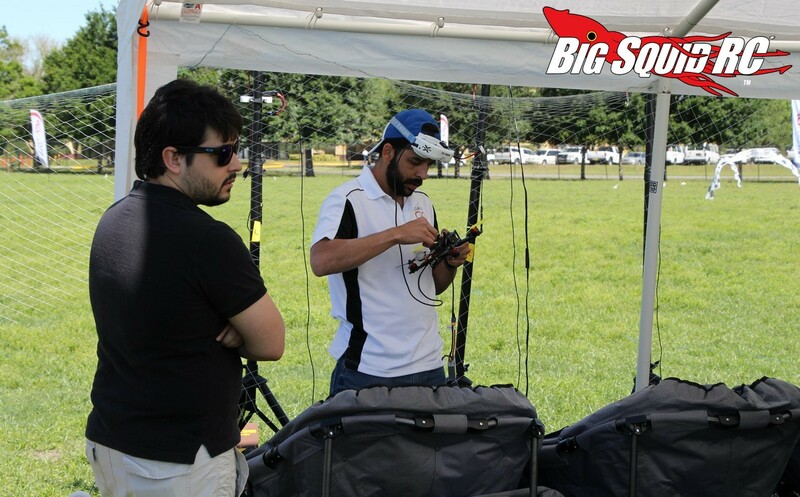 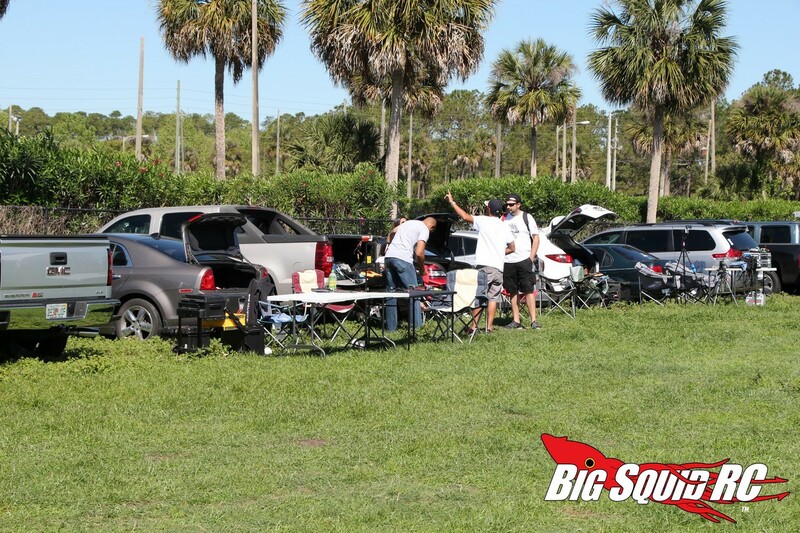 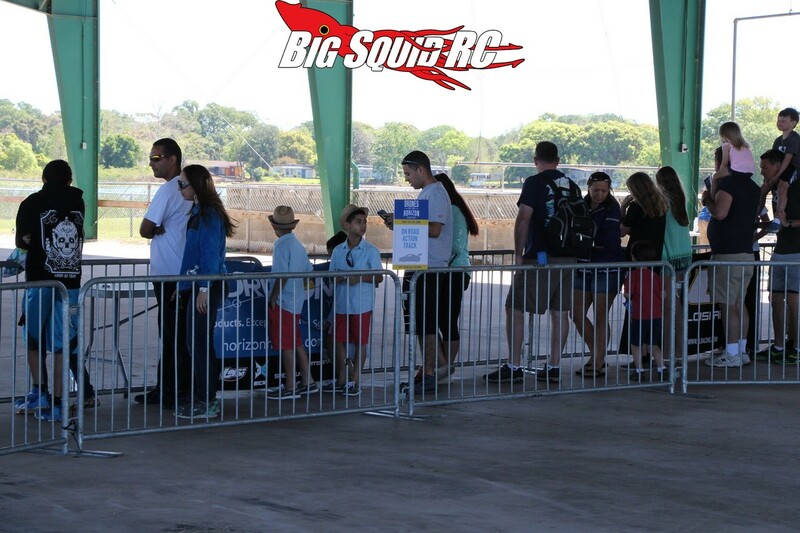 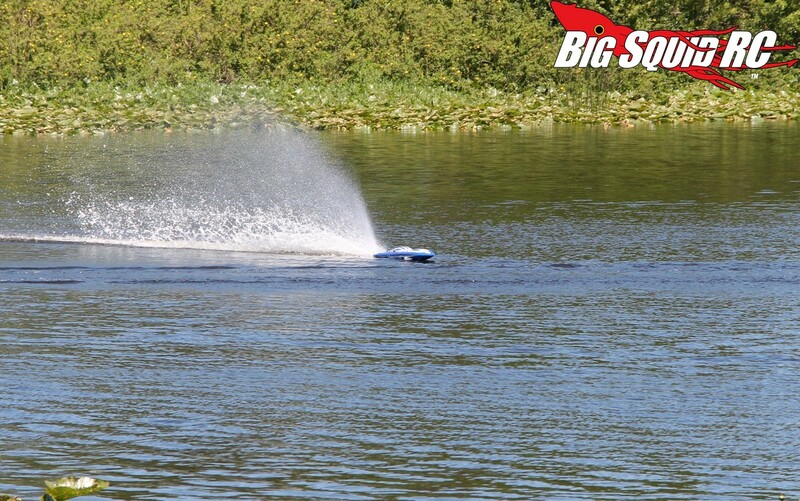 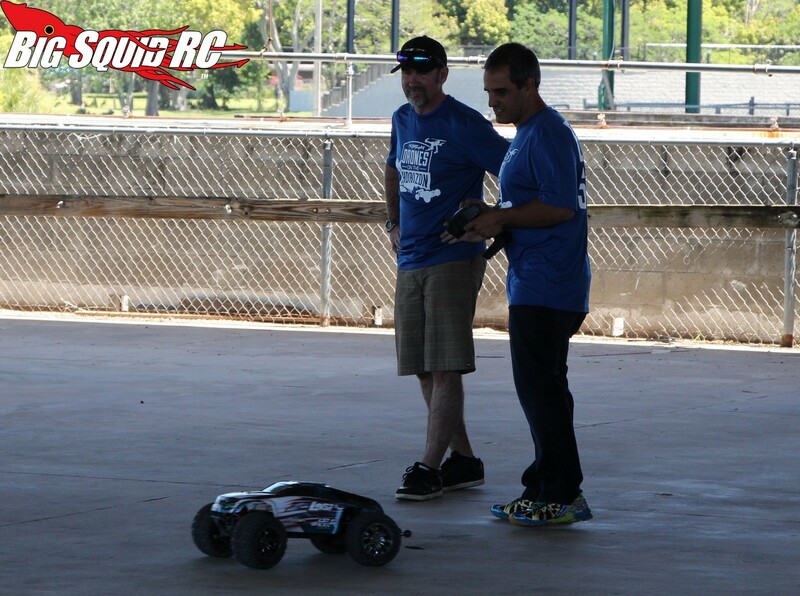 Last weekend the BigSquidRC Bash Crew had the pleasure of attending Drones On The Horizon. 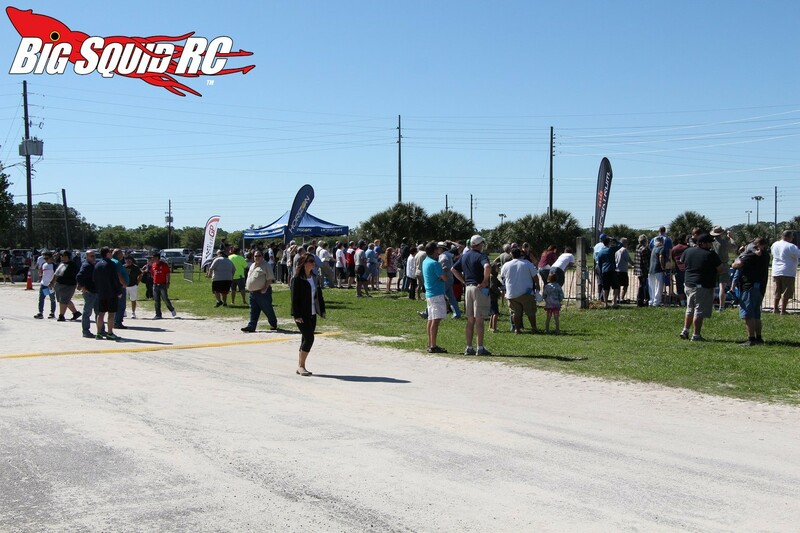 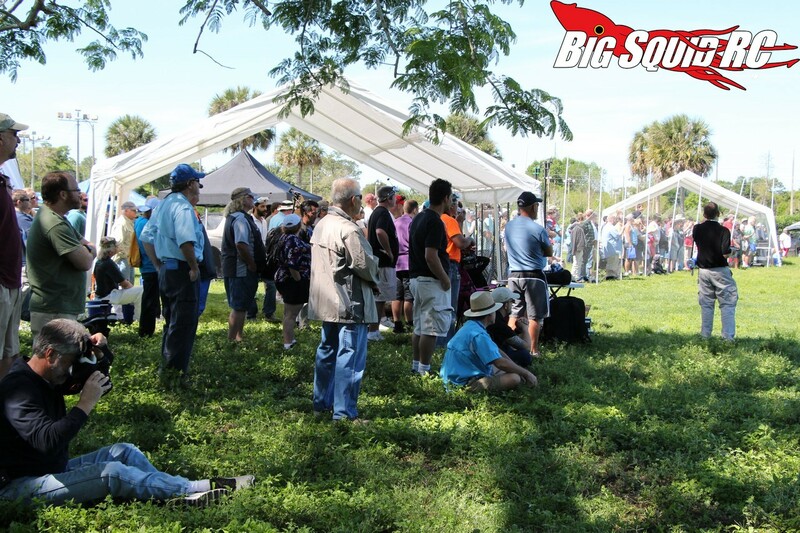 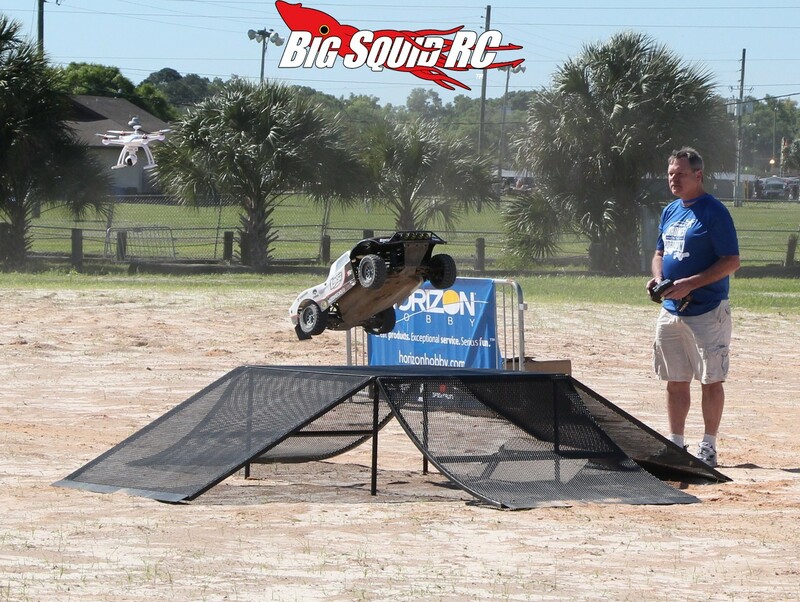 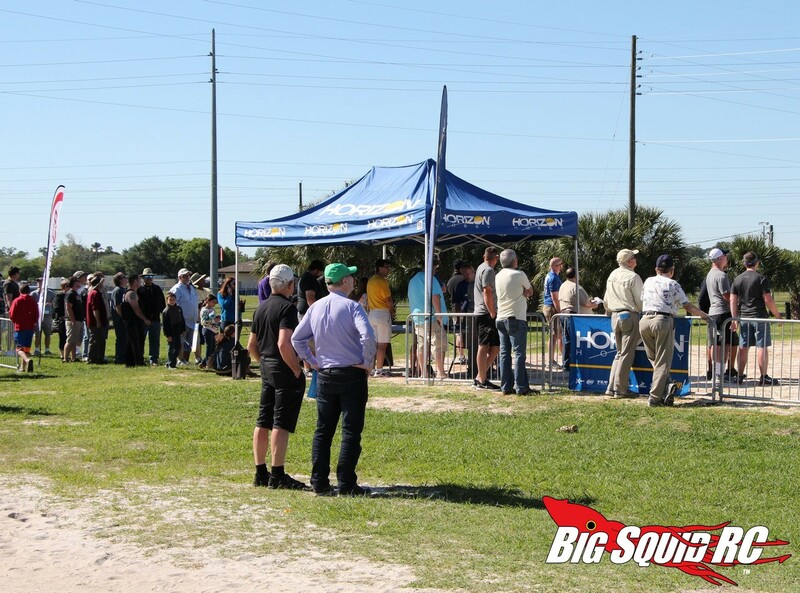 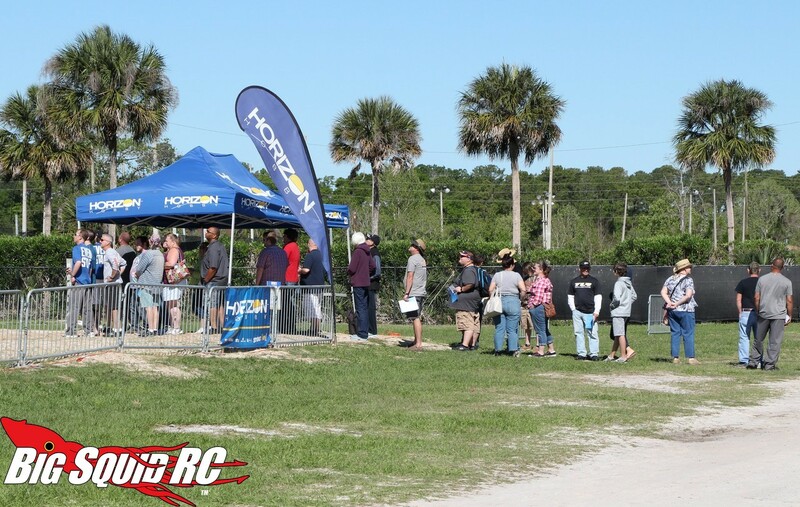 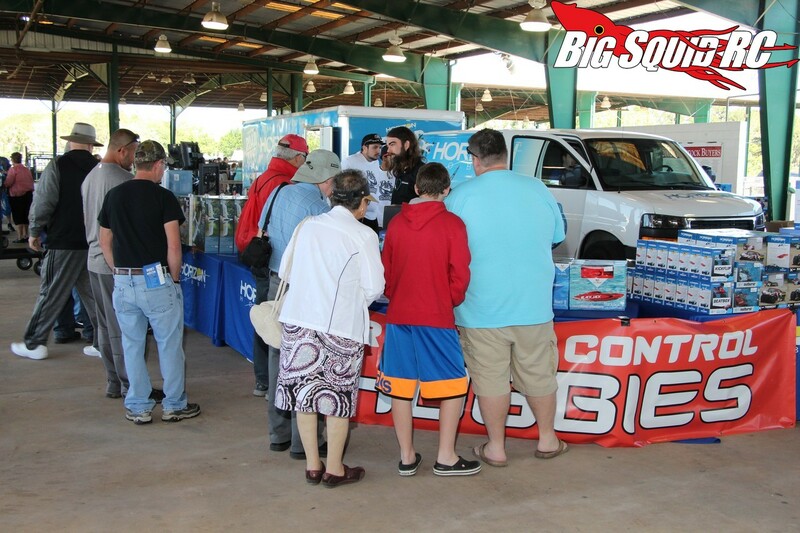 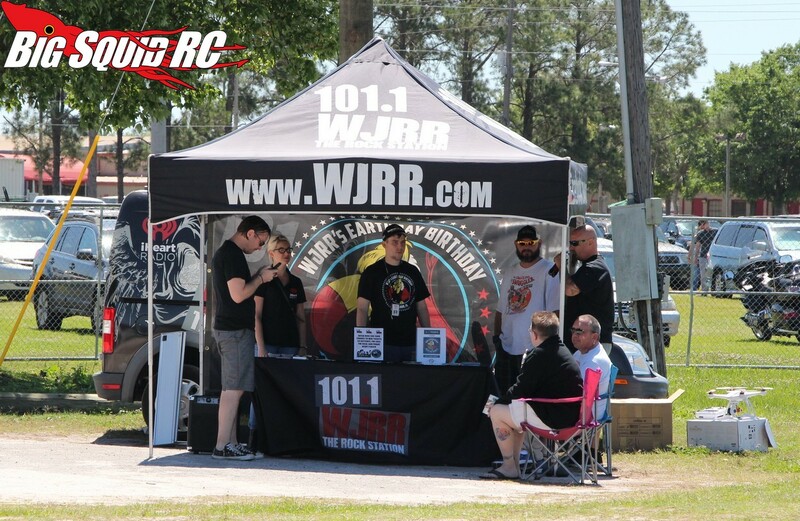 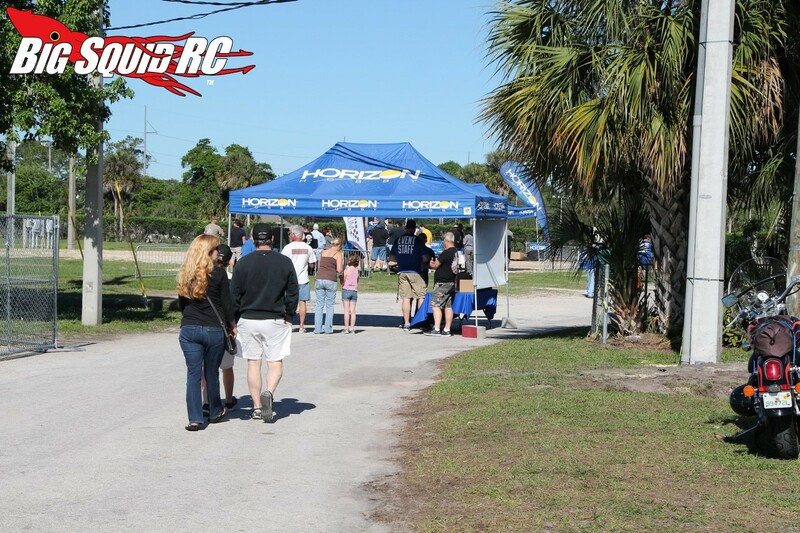 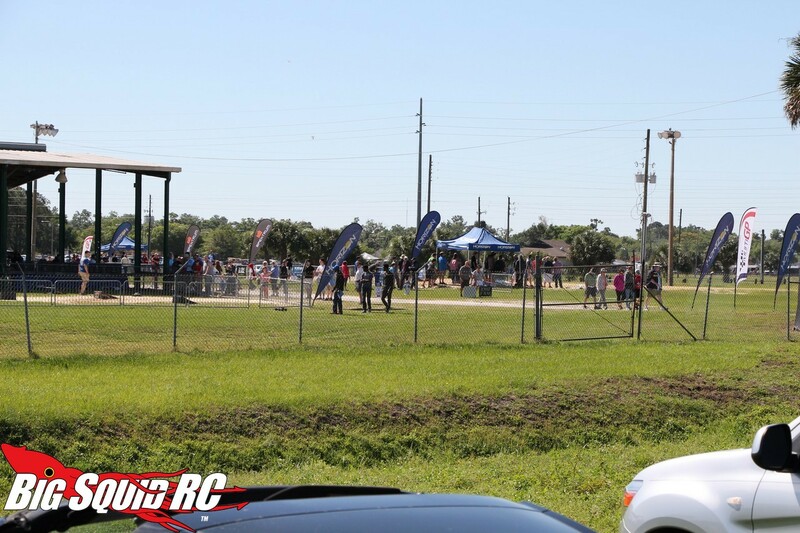 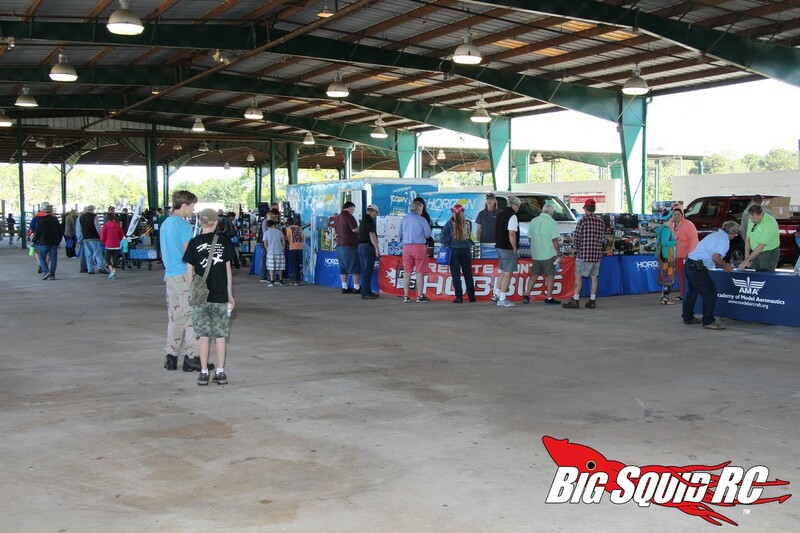 The event, put on by Horizon Hobby, was a one day show held in Orlando Florida to celebrate everything that is good about rc. 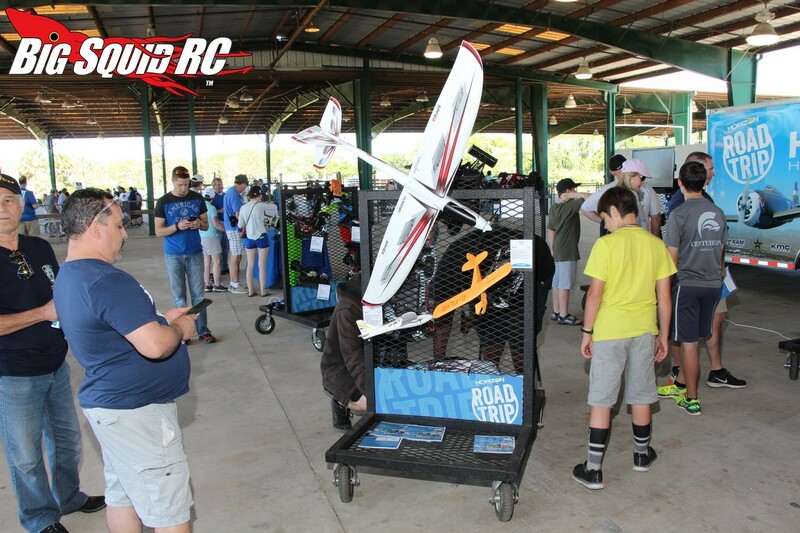 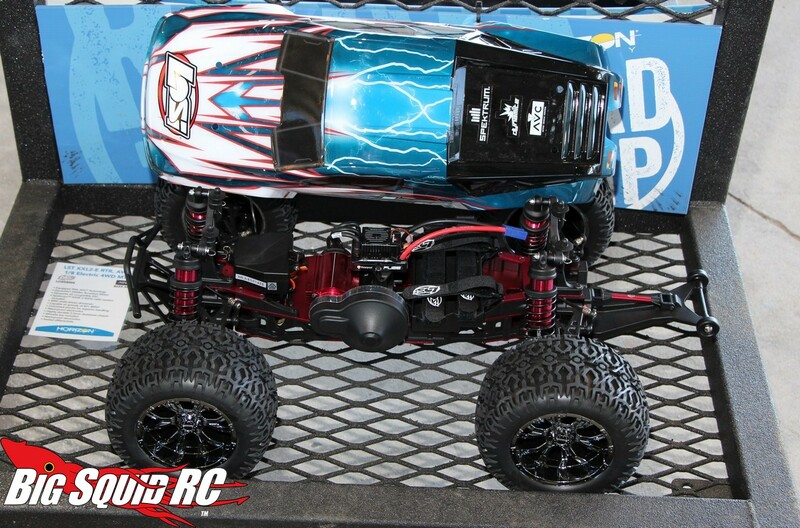 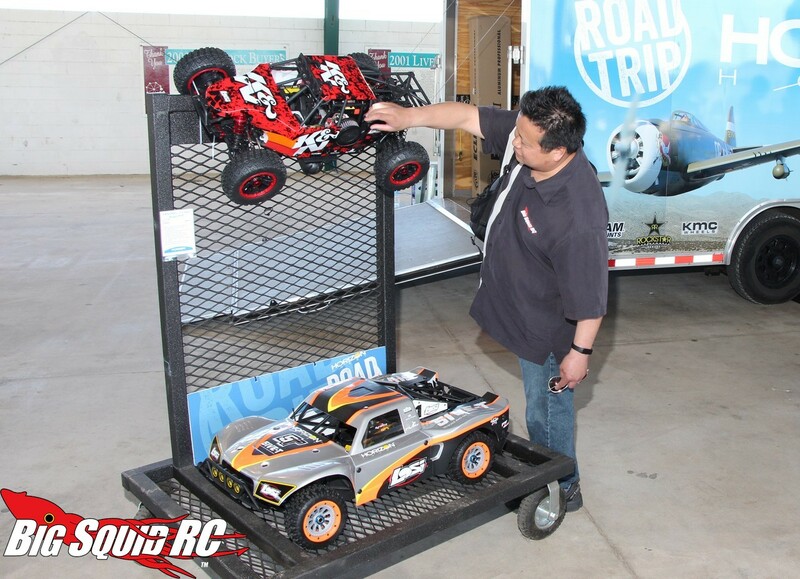 Unlike many other events, it wasn’t locked down to just one genre like airplanes or cars, Drones On The Horizon had virtually every form on hobby grade rc on display. 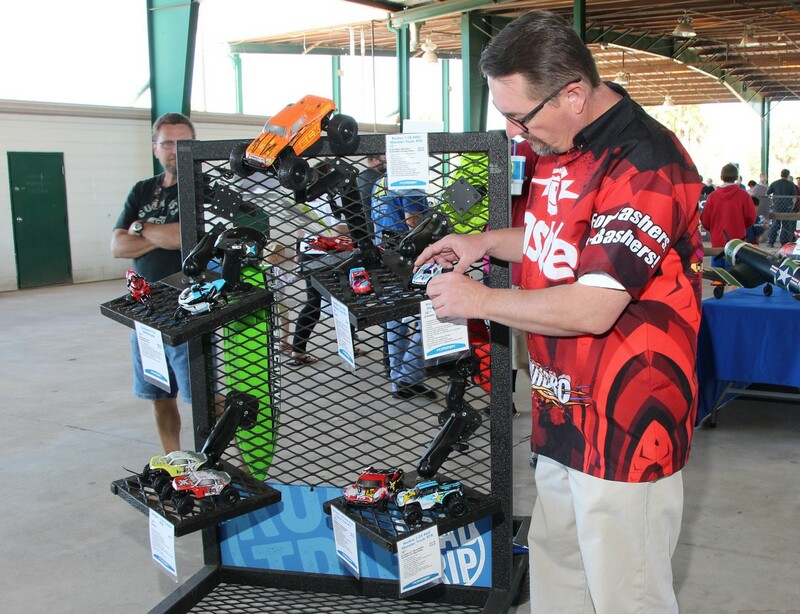 Actually, all the products weren’t just on display, Drones On The Horizon was more about letting consumers actually use the products hands-on, something that is rare in our industry. 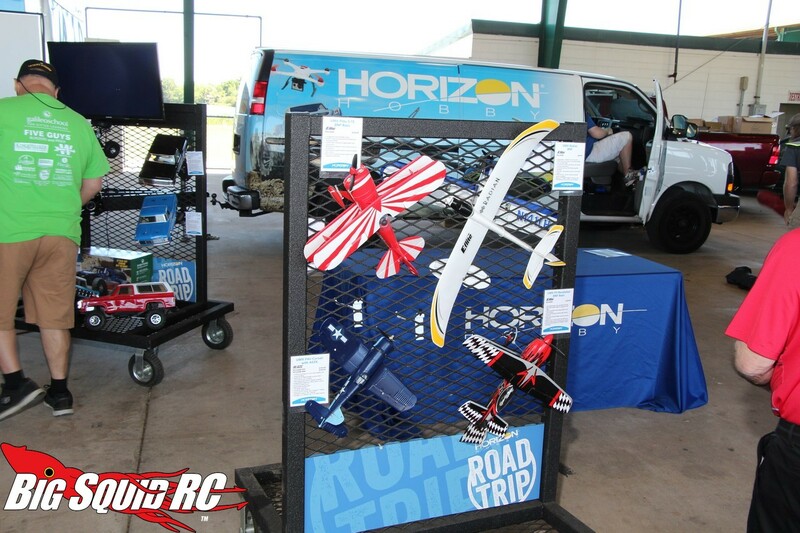 On the ultra-hot drone side of things, Horizon had organized two different “try-me stations” where you could fly a quad. 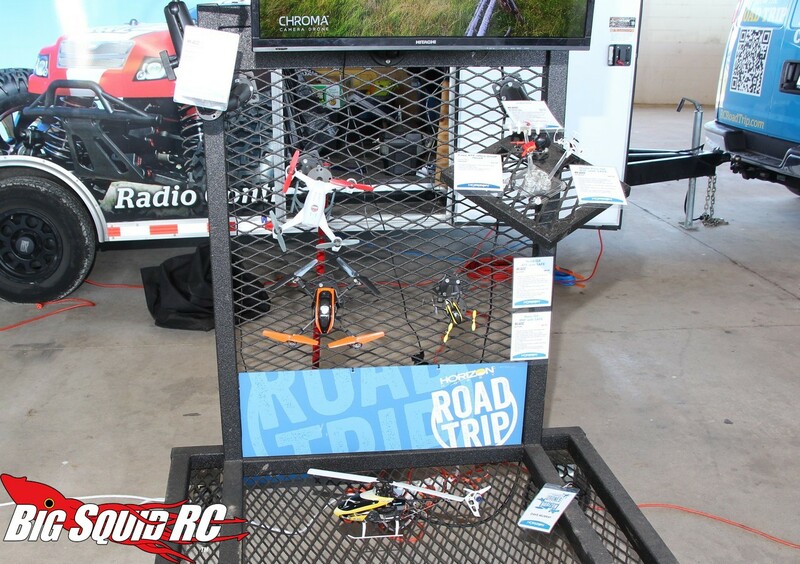 The first was an introductory “micro drone cage” where even first time users got the chance to get one of Blade’s micro drones up in the air. 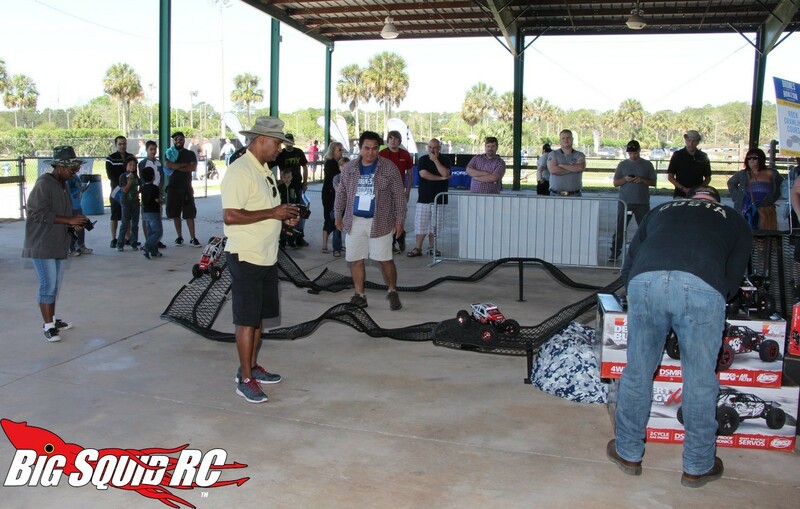 The circular cage was completely surrounded by netting to keep things safe and they had instructors on hand to help first time flyers. 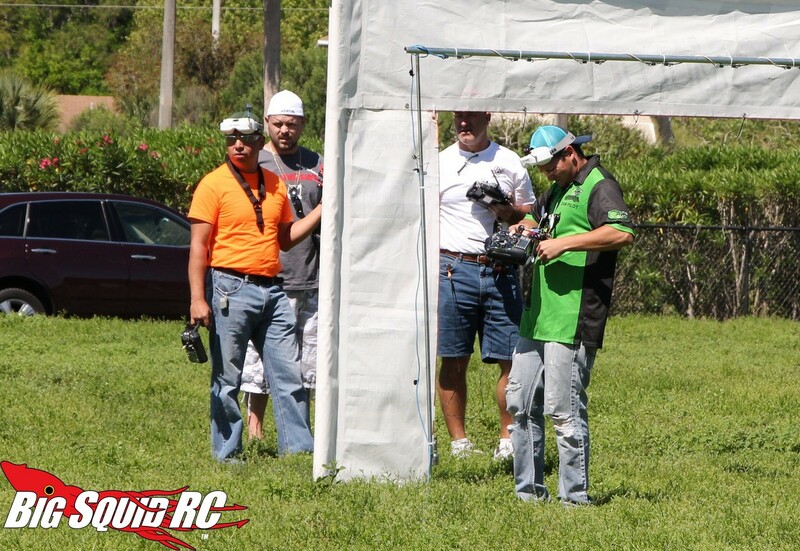 The second drone station featured Blade’s Chroma, one of the hottest selling camera/FPV quads on the market. 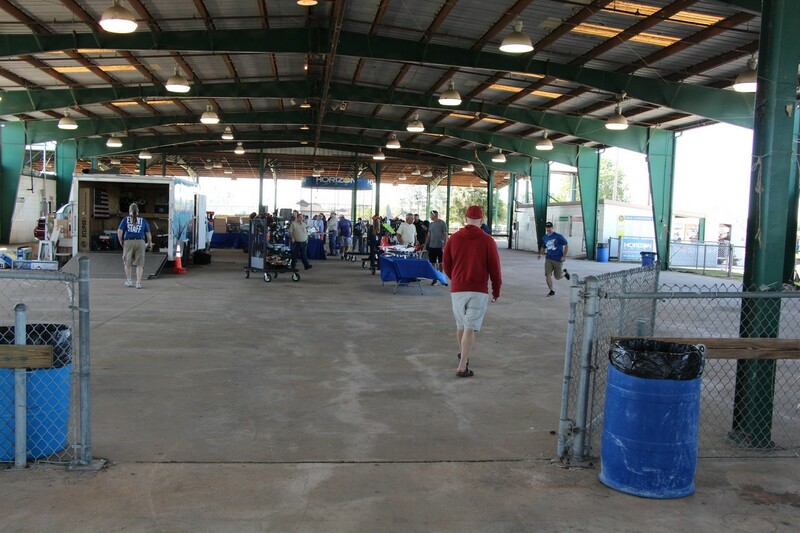 This station was held in a large field while allowed pilots to really get a feel for how the Chroma handles real-world conditions. 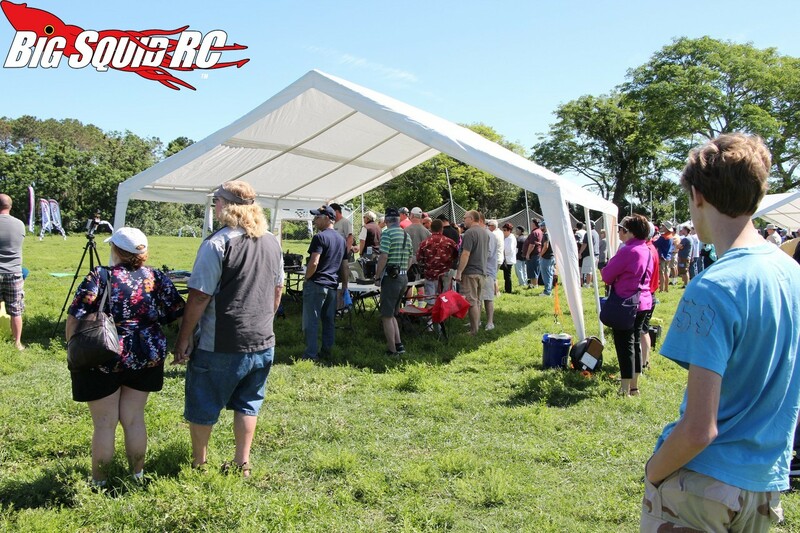 We saw hundreds of people fly the various drones during the day, from a whole lot of first timers, to some very experienced pilots, and they all seemed to be smiling from ear to ear. 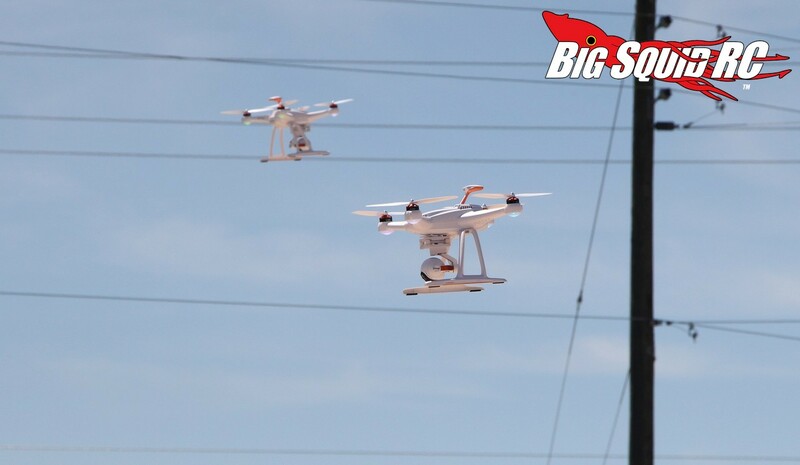 Because Drones On The Horizon doesn’t leave anyone out, there were four different stations for surface products. 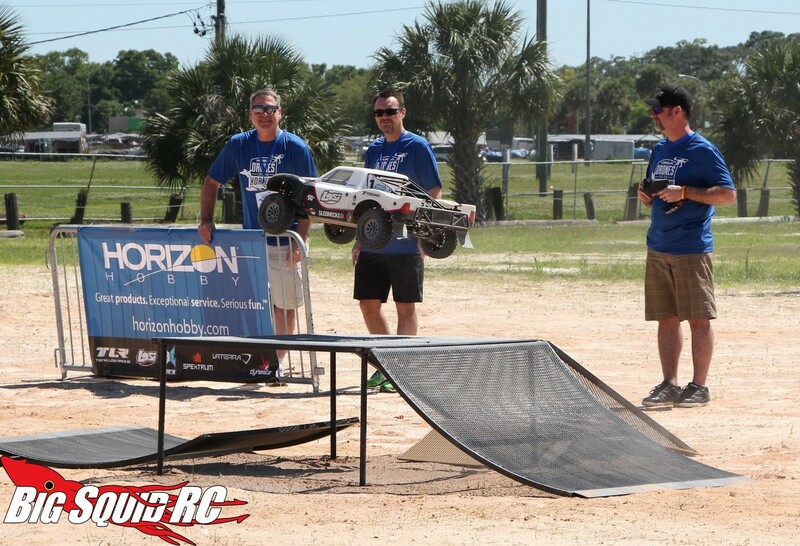 Horizon had set up a neat little rock crawling course that was challenging to drive and really showed off how fun a Losi crawler can be. 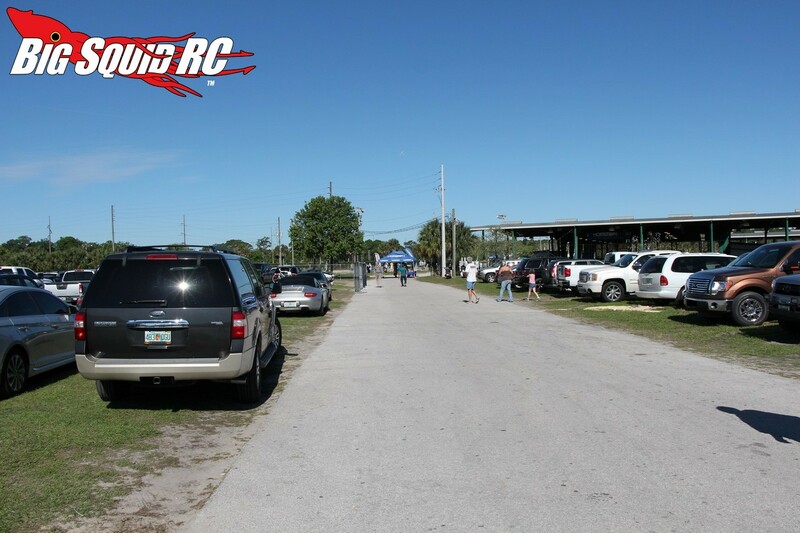 For the pavement crowd, there was an on-road course that was super easy to get around. 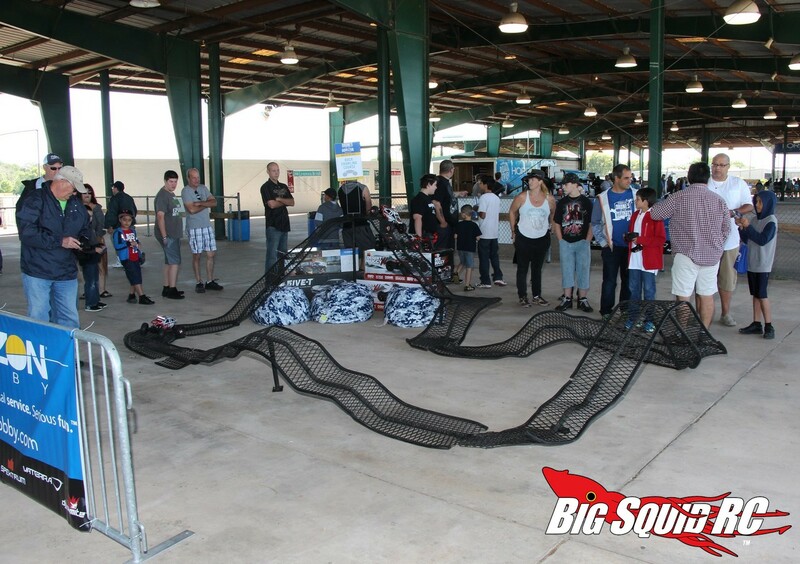 The on-road track was also quite slick, allowing drivers to get in some serious sliding action. 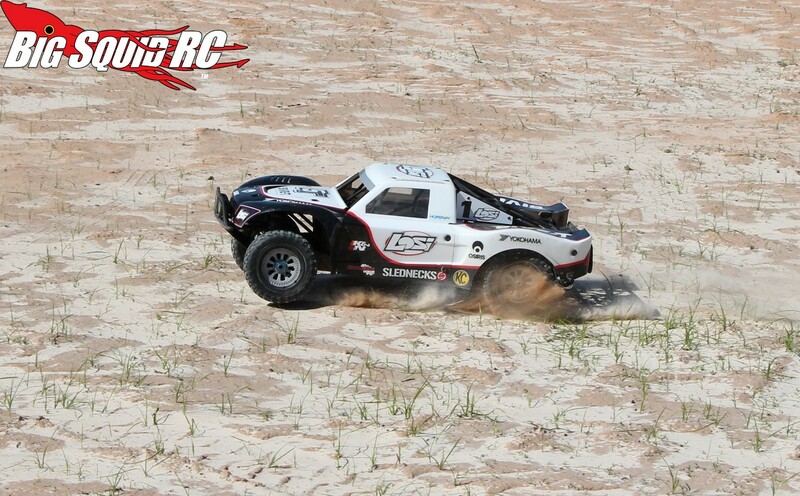 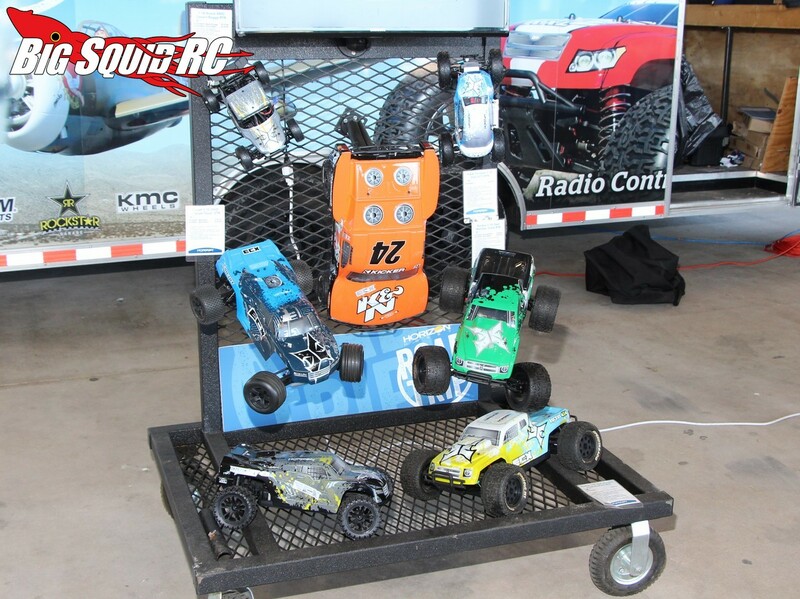 The third surface station featured some of our favorite bash-buggies, the ECX AMP Desert Buggy. 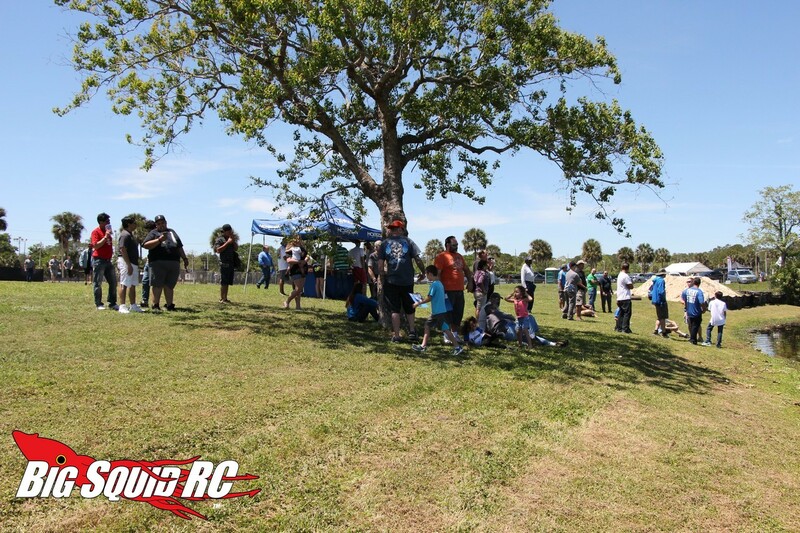 This was the off-road station and it was held on a sandy soil with several skate ramps thrown in for getting air. 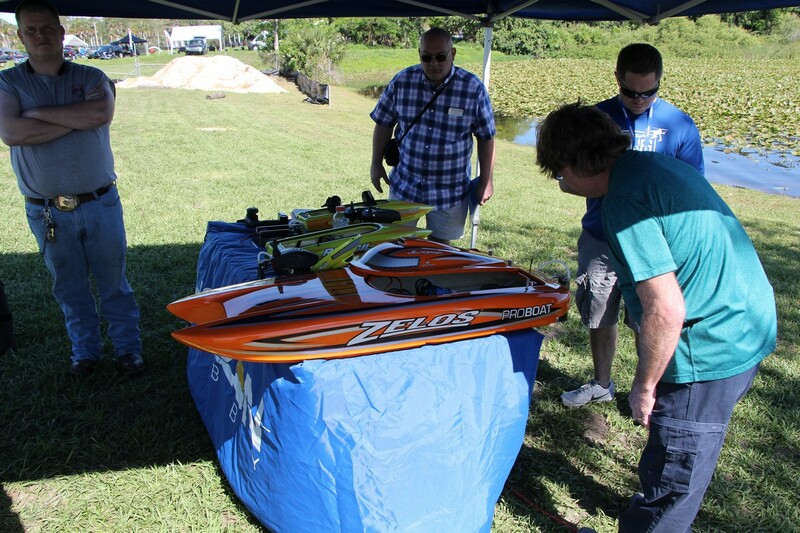 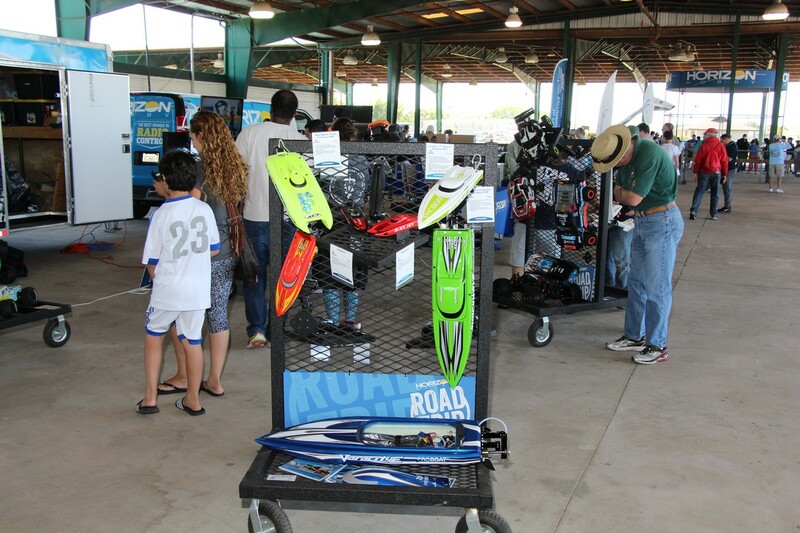 Last but not least for the surface side of things was the boat station where a number of Pro Boat products were being demo’ed. 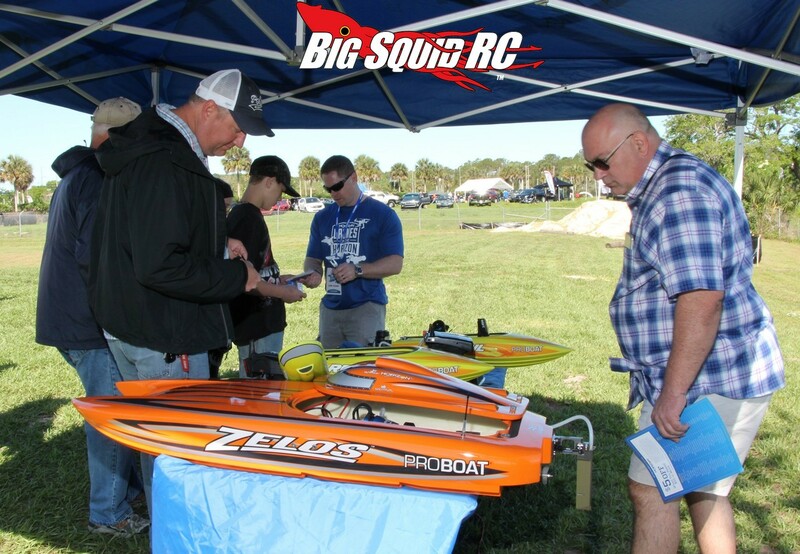 Horizon had a Veracity and a Zelos 48 out doing hot laps on the water, along with a number of other boats. 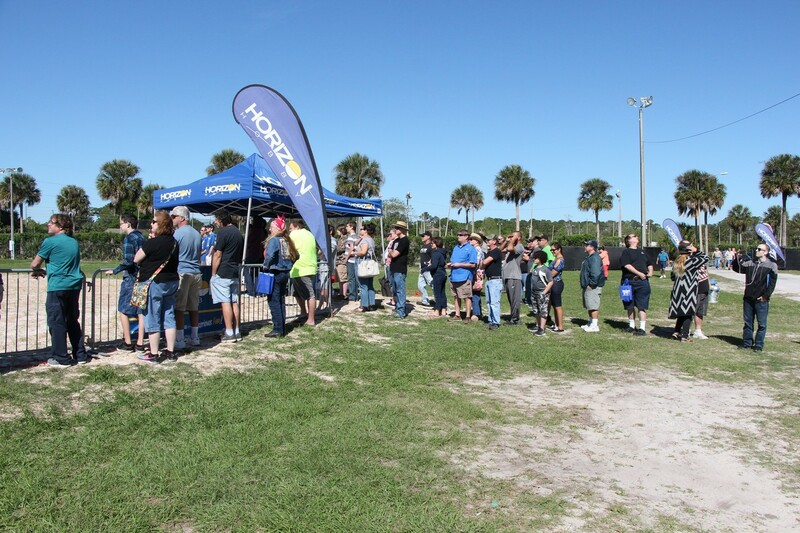 The last try-me style station was for airplane fans. 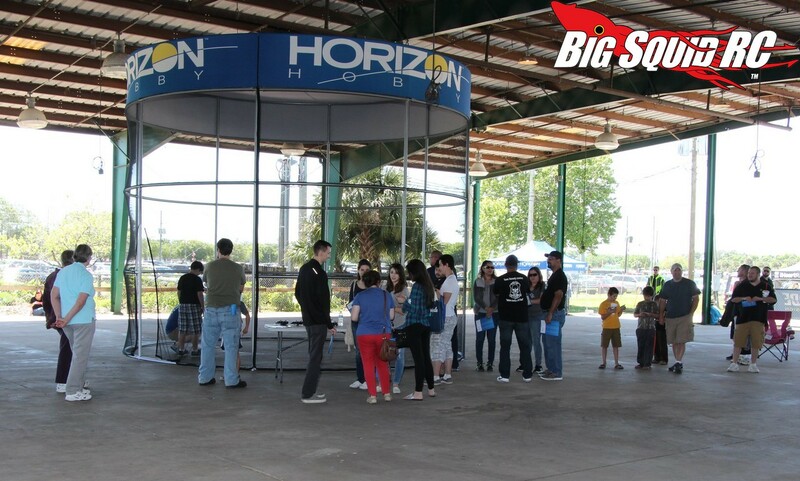 There was always a lot of people in line to fly one of Horizon’s Sportsman SAFE flight planes. 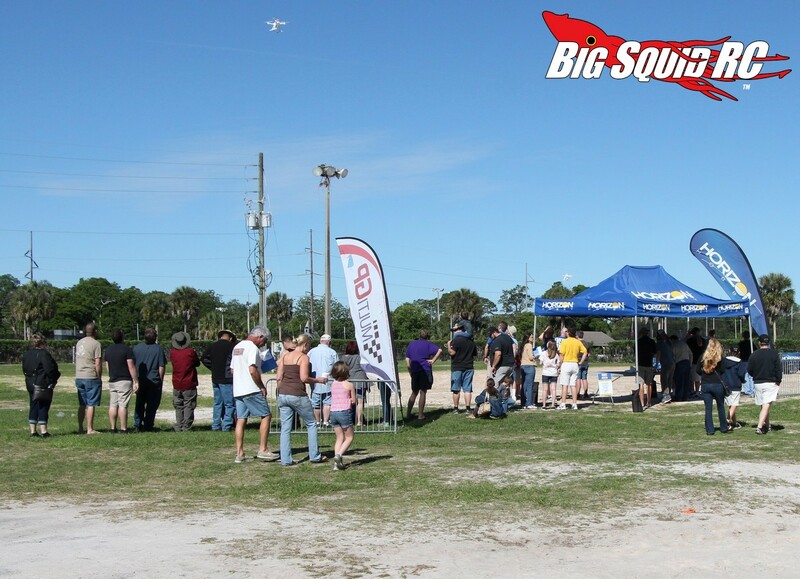 We saw them flying all day long and it looked like a lot of people were impressed with how easy the airplanes were to fly. 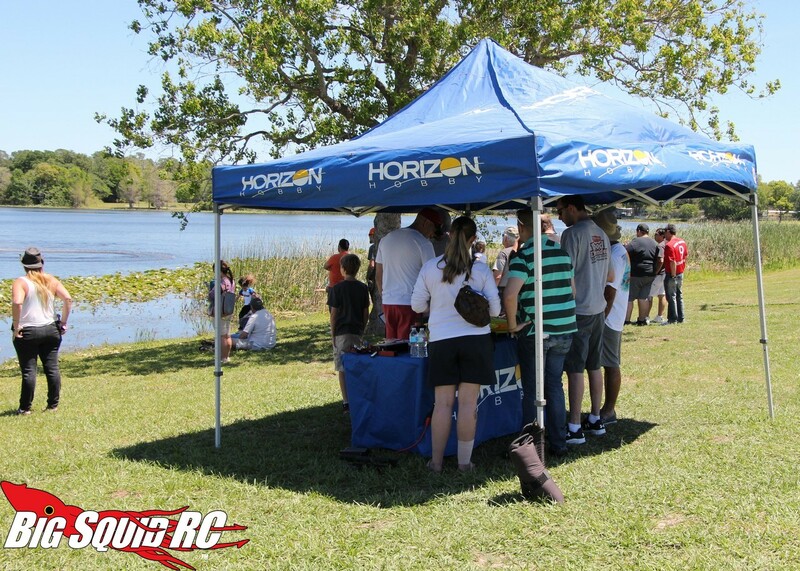 When the try-me stations were taking breaks, Horizon had organized professional demos to show off some of their higher end products. 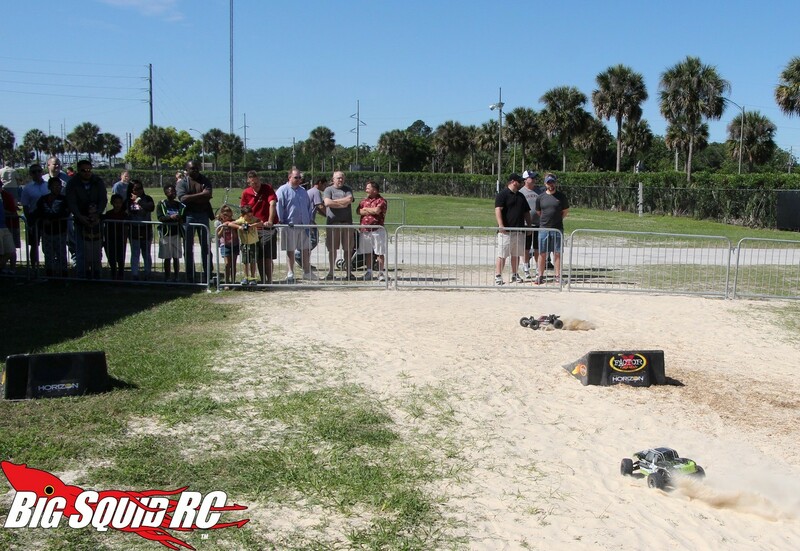 A pro pilot put on quite a show with a 70 sized heli and they also did a 5th scale surface demo featuring the Losi Desert Buggy XL and the 2016 March Bashness Winning 5IVE-T. Needless to say, the pro demos were VERY impressive and really got the blood pumping for us true rc fans. 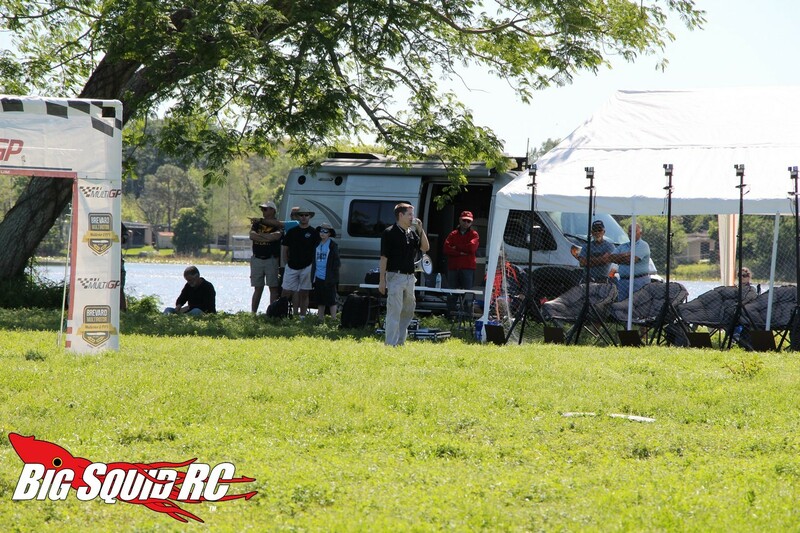 Another big part of Drones On The Horizon was the Multi GP event that was held all day long. 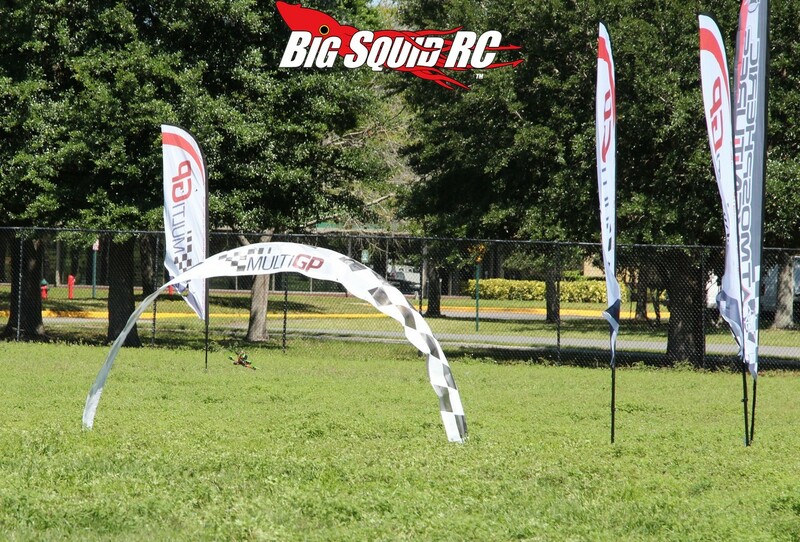 Multi GP is an FPV drone racing organization and the BigSquidRC Bash Crew spent a couple of hours watching them bust out laps. 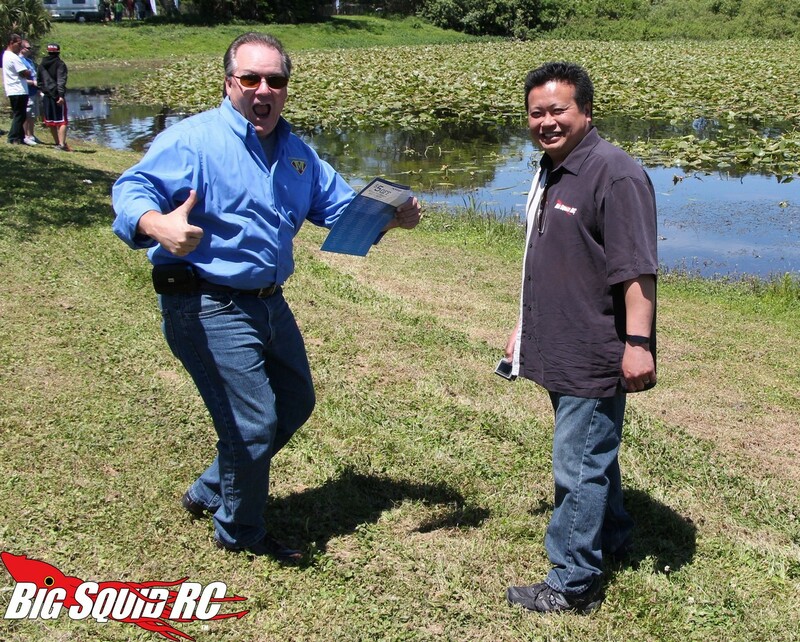 While our crew is made up of mainly surface drivers, we all left thinking about getting our own race quads. 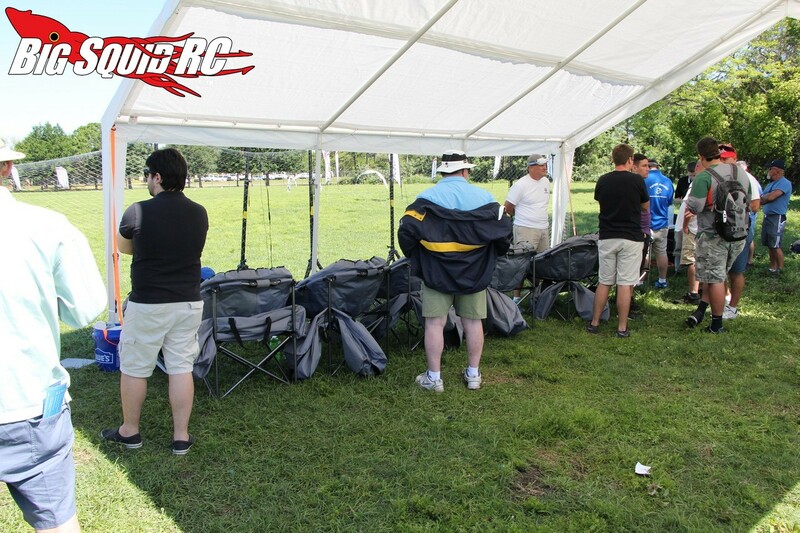 The Multi GP race made it easy for our surface guys (or anyone that was there) to ask the competitors questions like what kind of equipment is needed to compete, how the races are timed, etc. 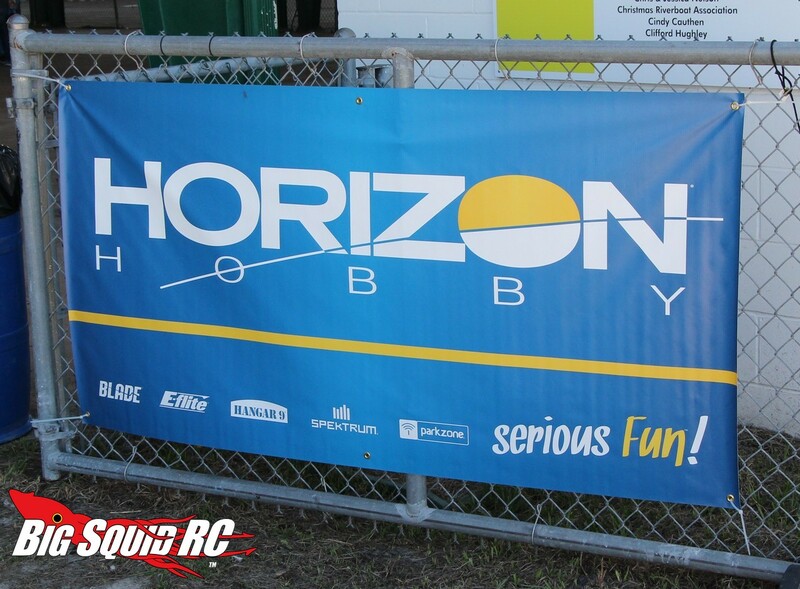 Perhaps the best part of the day was getting to say hello to Horizon factory pilot Juan Pablo Montoya. 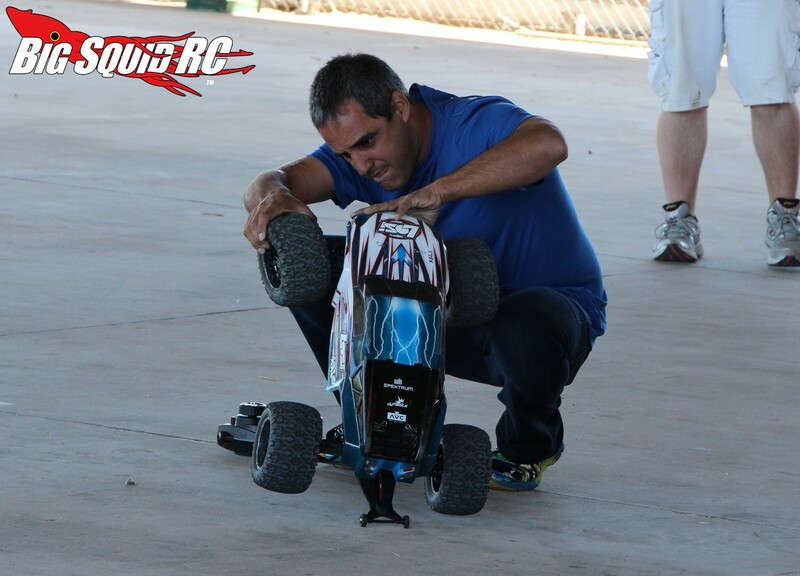 Yes, that Juan Pablo Montoya (Indy 500 winner, F1 driver, NASCAR driver, etc). 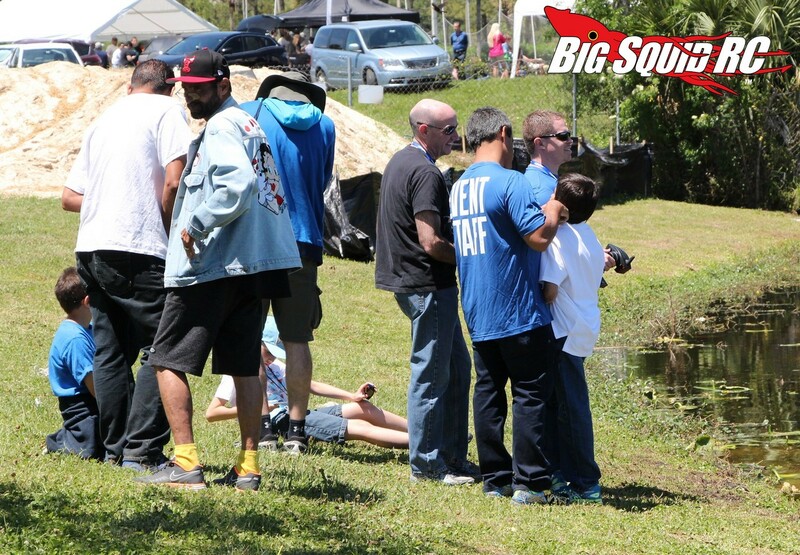 He hung out all day and was easily accessible for fans to ask him questions or to get a picture taken. 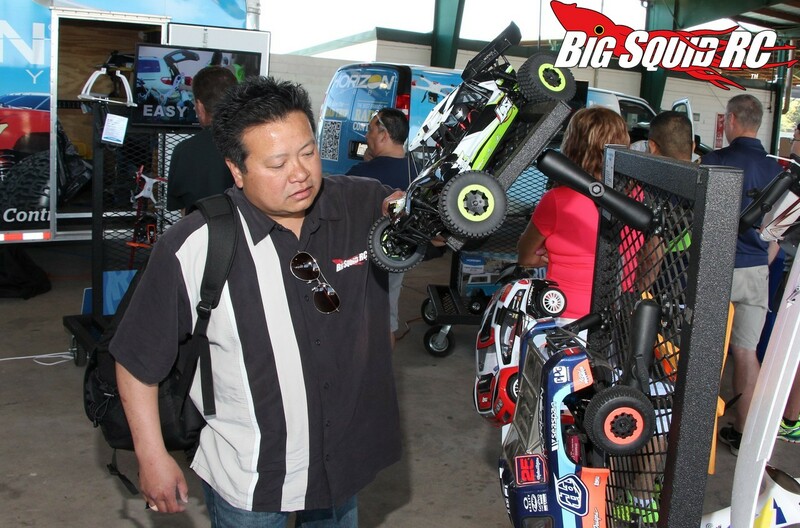 Juan also did a Q & A session where it was easy to see that Juan has a true passion for the hobby just like you and me. 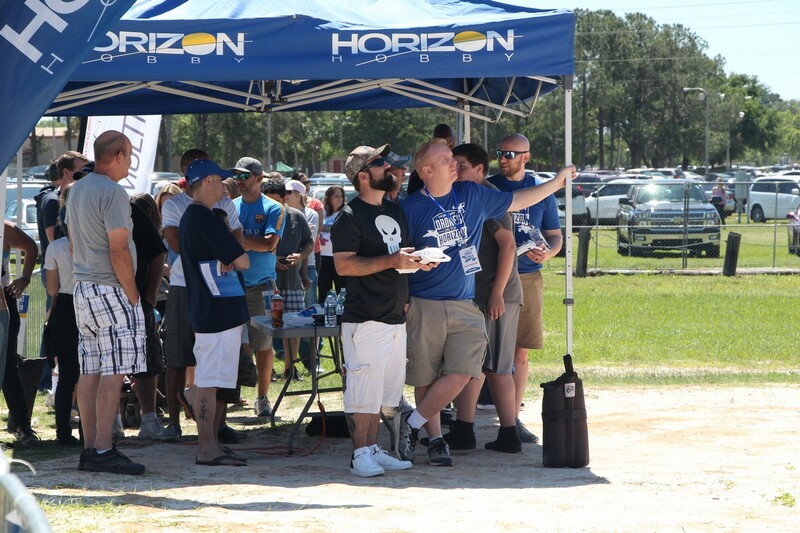 Overall, our bash crew had an incredible time at Drones On The Horizon. 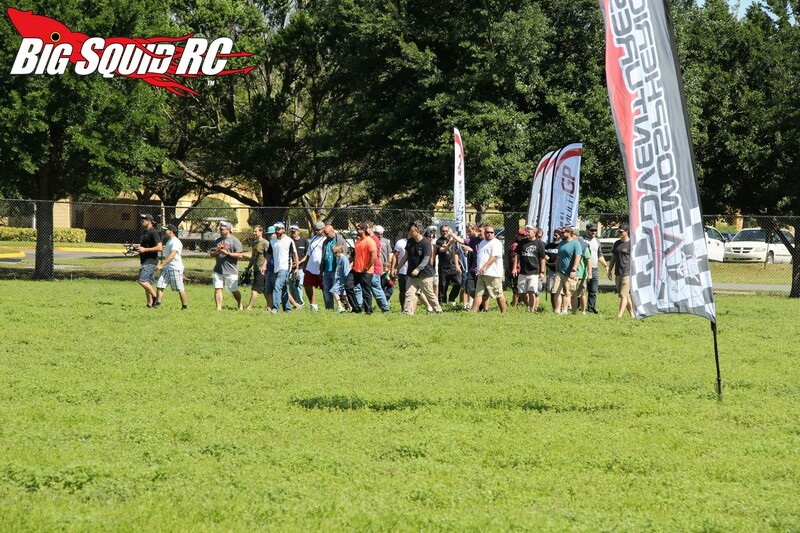 While most rc events only allow spectators to look but not touch, the Drones On The Horizon event was completely the opposite. 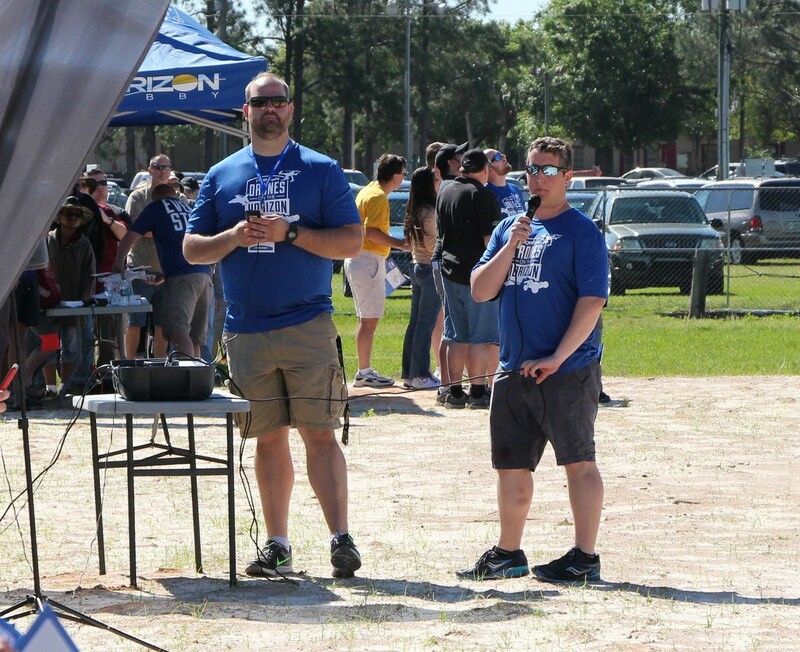 Instead of just looking, you could actually do, and it was obvious by the looks on people’s faces that they really appreciated that fact. 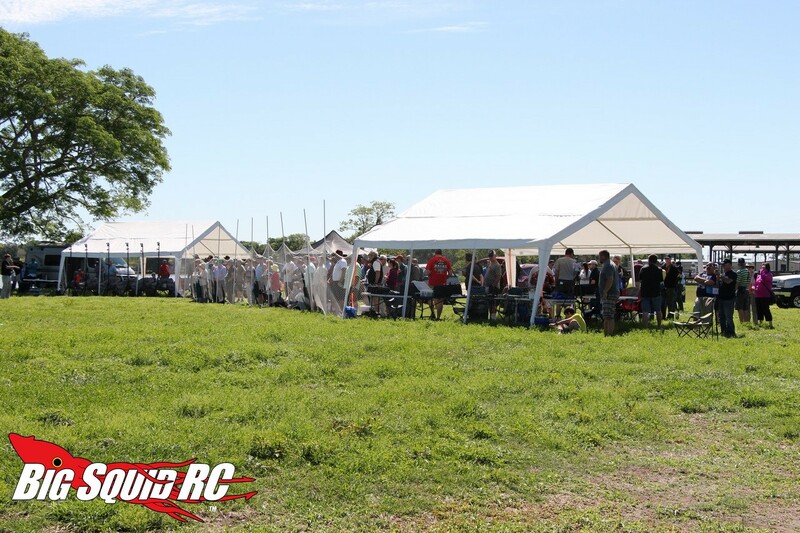 While we have not heard if the event will be held again next year, we have already packed our bags and are ready to go again. 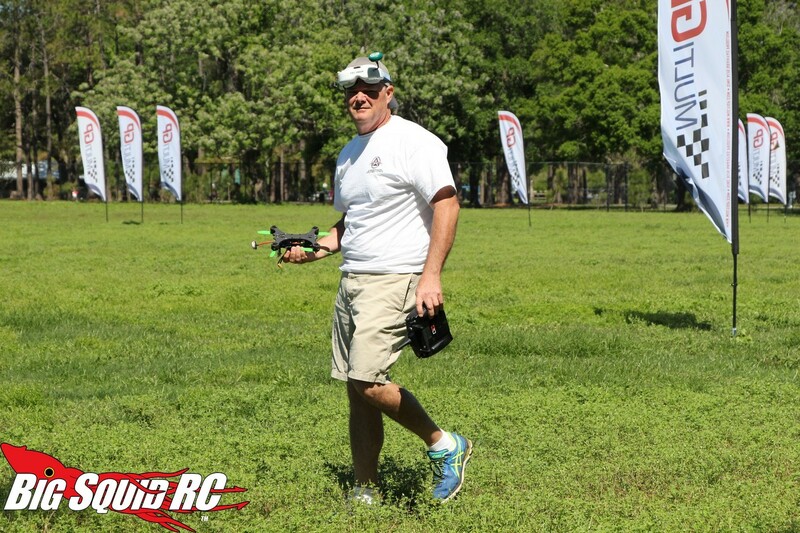 Drones On The Horizon was both great fun and great for the hobby. 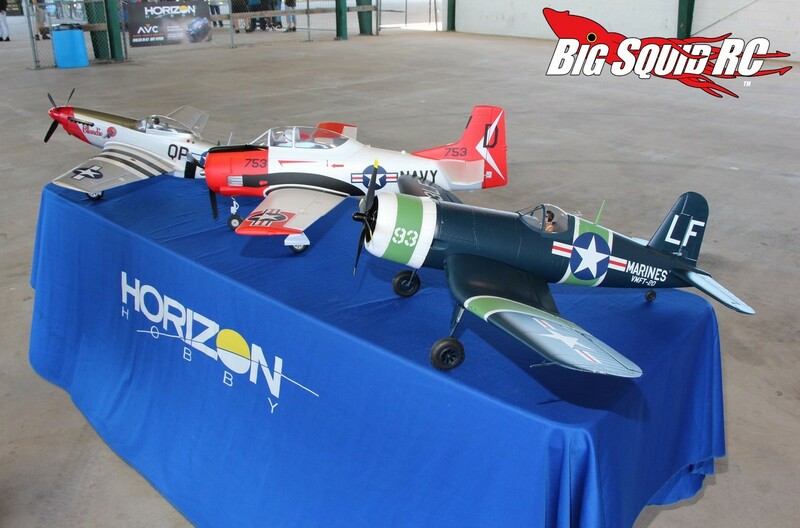 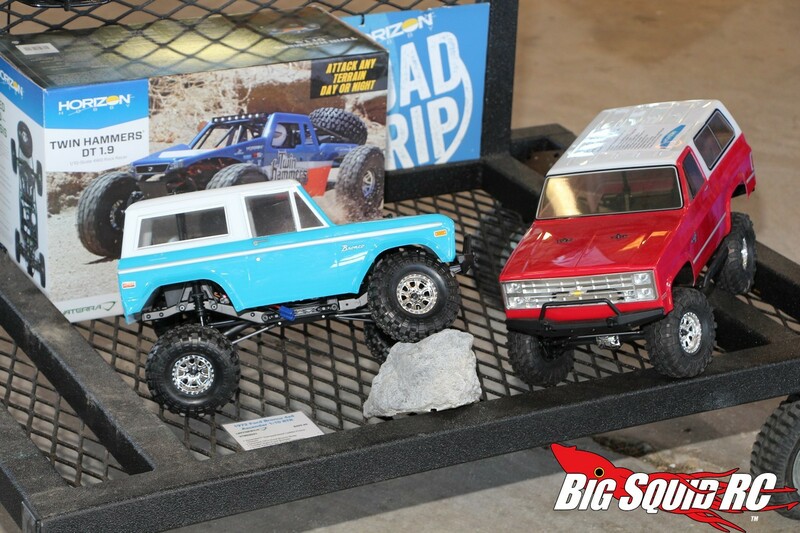 To learn more about Horizon Hobby, hit up This Link to visit their official website, or you can Click This Link to read more Horizon Hobby news right here on BigSquidRC.